Everyone at work was feeling a bit under the weather today, and lunchtime turned to silliness. My colleague decided to introduce us to an app called RapMushi (ラップムシ) which he had on his iPhone, and I have now downloaded on my iPad. The app’s free – I wouldn’t have downloaded it if it wasn’t – and it’s certainly amusing. 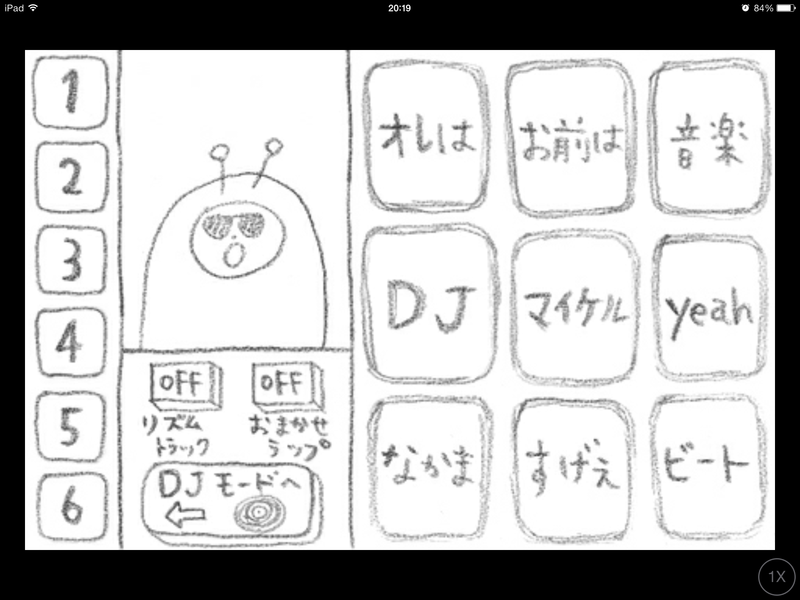 RapMushi is “an application that you can feel like a ”Rapper”, by pushing the words panel rhythmically. Words are separated in 7 parts. When you press the “Number” panel, it will shift to those several sections.” according to the Apple app store. Basically, it’s a silly little game that allows the player to make music and ‘rap’ with pre-recorded Japanese words and phrases. 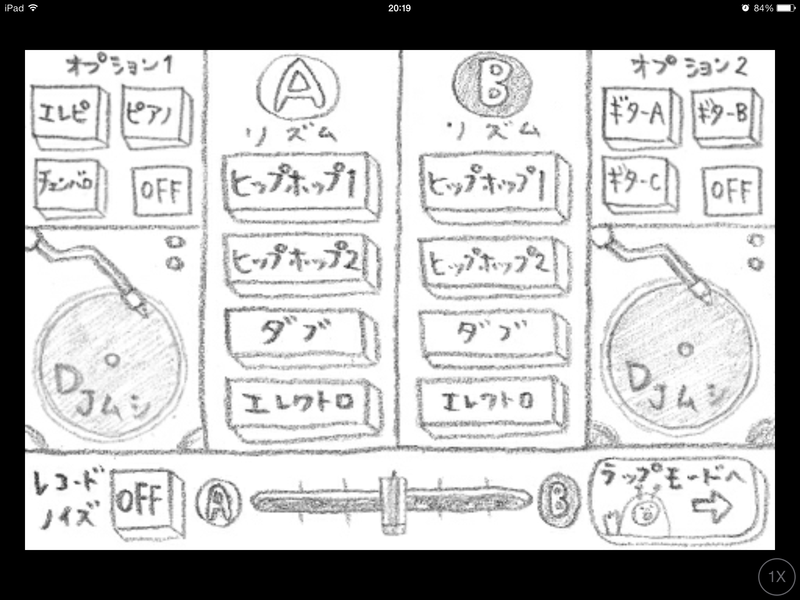 The graphics are done like simple pencil drawings, and it’s just a bit of fun really. On one screen there are two turntables and a sort of mixing desk containing buttons programmed with various instruments and rhythms. On the other screen there are words and phrases, most of which are in Japanese, and the RapMushi character. 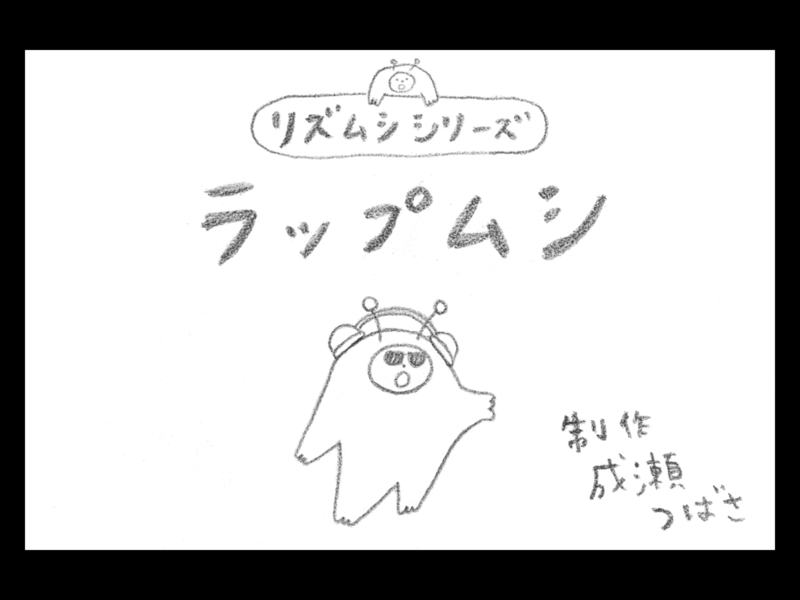 The character is a bug (‘mushi’) of some kind, wearing headphones and sunglasses. I actually found this a good test for my Japanese, although there’s not anything overly complicated in the game. I’m not recommending RapMushi as a serious way to study Japanese, but for those looking to inject a little more Japanese into their daily lives this is definitely a fun way to do it.